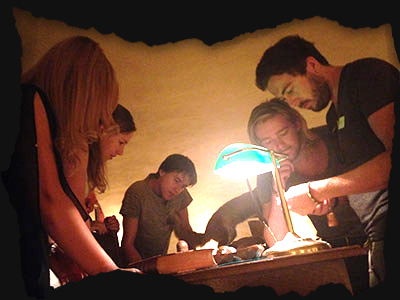 "Already one of the best escape rooms I have ever played!" 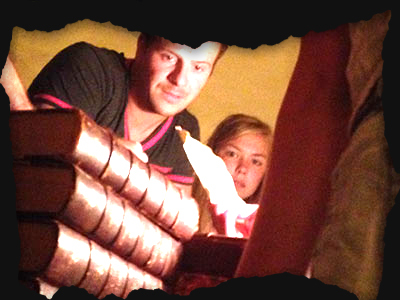 "The MYSTERIUM made me instantly addicted to escape rooms." "This adventure scores 10/10 to me. Thanks!" Nothing is what it seems. Experience this exciting and interactive adventure together with your friends, family or favorite co-workers. 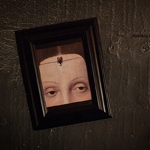 Step into the MYSTERIUM and leave the modern day world. Right at the Oudegracht in Utrecht inside a medieval warfcellar I'll be waiting for you. Be careful: Escape Rooms are addictive. The MYSTERIUM is different and interactive. It is a tricky Escape Room but no special skills or an Einstein brain is required. Work together and beat the MYSTERIUM. Pure fun and a creative hour you will remember for at least 23 years. 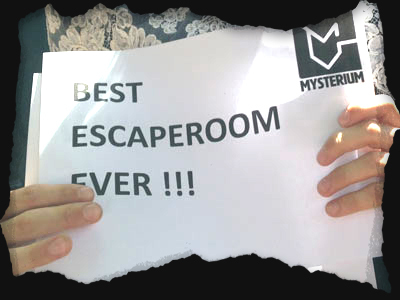 The MYSTERIUM Escape Room in Utrecht is fun and a great teambuilding activity for co-workers, clubs, members of an secreat illuminaty society or other groups who are bored and want to feel connected again. Every day is a special day. But sometimes a day is more special than the rest of your month. Celebrate the birthday of your cat, the moment that you are single (again?) or visit this fantastic Escape Room for any other special occasion. Theme party or family day? 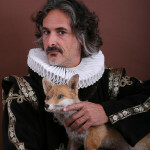 Please call me and tell your special date and I will arrange an unbelievable private event. Only for you and your guests. From bitterbal to high tea. Partytime! 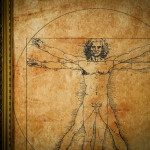 Can you beat escape room MYSTERIUM? MON - THU 99 EUROS, FRI - SUN 129 euro. BOOK NOW! 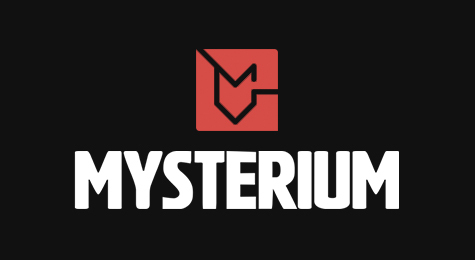 Q: What is the Mysterium and what is an escaperoom. A: It is special and mysterious. You and your fellow puzzle-solvers are brought to our 14the century wharf. Think, solve, be creative. Pay attention to every detail. Ofcourse it is safe. But this special Mysterium Escape Room will tease en seduce your mind. 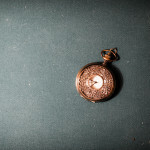 Show your best ideas and deduction skills and you maybe can escape the room in 60 minutes. Or even faster. 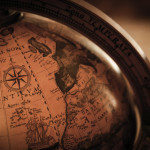 Q: Is it necessary to book? A: Ofcourse. Yes, yes, yes. Your room is waiting for you! You can send a pigeon but it is easier in modern times to book through this site. Please see our booking form to find the perfect day and time. 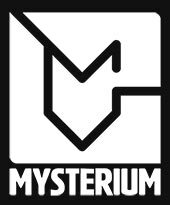 Q: Can I surprise somebody with a Mysterium giftcard? A: What a nice intelligent and warmhearted gift. That is possible. 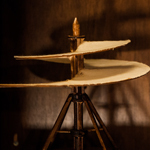 Please contact our Mysterium office from Monday to Friday at 030-7271026 or mail us at info@mysterium.nl. 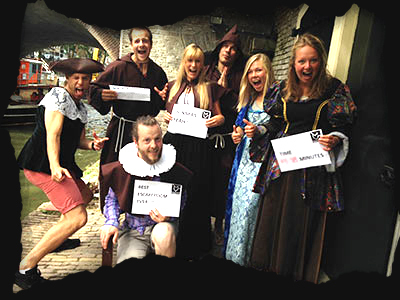 A: For large groups (11 up to 300 persons) we combine treasure hunts, smartphone games, pub quizzes, dinner walks and other workshops with the Escape Room. Q: Can we organize a party there? Q: Is this a good team building activity? A: Believe me. This feeling is more intense then an evening eating sushi together. For more than 23 years we organize teambuilding activities… and this is one of the best experiences you have ever felt. Finally you really need to communicate. It is extremely necessary to work together and to share information and to trust each other. It is fun also. Trust me. Q: There are camera’s. Are you recording us in the Mysterium? Can you send me the tape? A: What do you think? A mystery will always be a mystery. There are camera’s but they are only there for your safety and to help you during your real life puzzle. All riddles and puzzles will never leave the Mysterium. Q: Can we come film or make a photographic shooting? A: We love Press. We love Bloggers, We love TV and we love publicity. YES. YES. YES. Q: I have a ticket. Can I have a refund? A: Sorry, The Mysterium is a live experience. It is not possible to cancel or to rebook once confirmed.